This is 5.56 Federal American Eagle XM855 62gr. 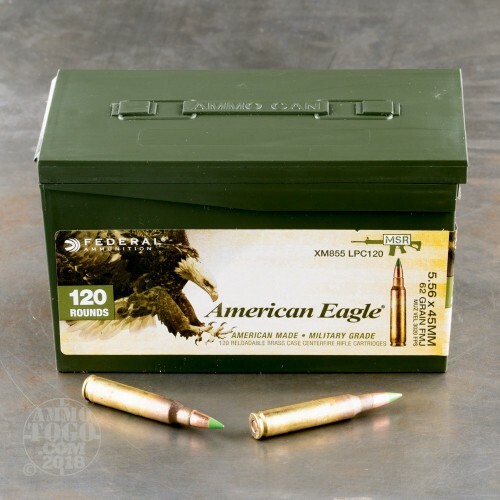 Full Metal Jacket Penetrator Ammo. 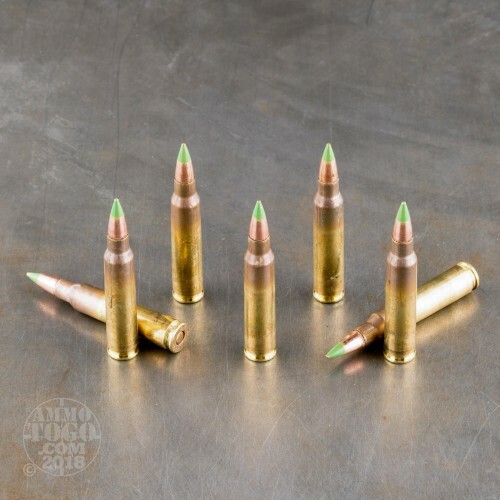 These are true XM855 rounds. 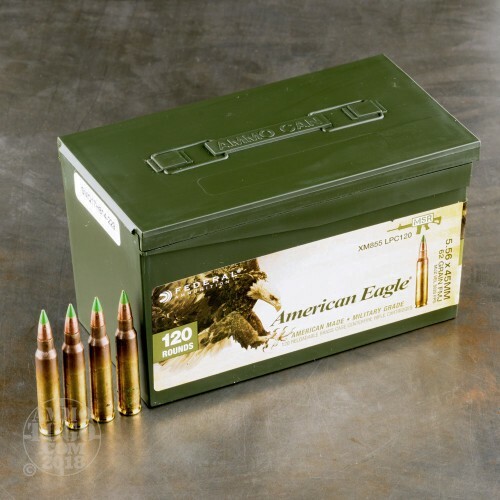 This ammo is brass cased, boxer primed, and non corrosive. 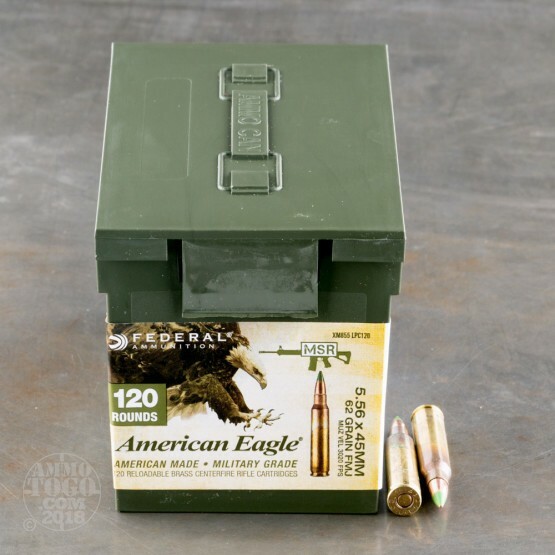 The rounds are packaged 120rds. loose in mini plastic ammo cans, 5 cans per case.